This homeowner had a leak that was causing mold on their house wrap under the siding. We replaced it and sealed everything off properly! Now the home and chimney are good as new and properly protected. The homeowner had attempted to adhere a few missing shingles himself. It hadn't held the way he had hoped so he called us to have our crew re-work the missing areas for him! Trust an expert when your roof needs help. Entryway upkeep is imperative for the safety of the homeowners and their guests. This home had a section of siding near the back patio door that had rotted wood underneath it that was causing the siding to push outwards. Our crew was able to replace the wood and add a new piece of siding to bring it back to the inviting entryway it once was! Soffit and facet on 2 car garage needs replacing. Need upper floor of quad level cedar siding replaced with wood grain fiber cement board. Gutters and possibly soffit and fascia. Seeking an estimate on the exterior wood areas above and along the overhead garage door. Looking to have the areas wrapped in aluminum. Window is leaking and panel of the roof missing. VINYL SIDING HOUSE AND GARAGE, NEW GARAGE DOORS. Need siding, about 200' of gutters, some soffit and facia work and 2 entry doors and 2 storm doors installed. This person has filled out the Star Power Pro survey on stansroofingandsiding.com that you sent them and is interested in another service you provide: roofing . Please contact them to schedule a new appointment for this service. This is a no-charge lead. Hello, Yesterday during the storm, we had water coming inside. After doing some checking around , I noticed that we are missing several shingles from our roof. I need to get an estimate for repairs and also an estimated timeline when repairs could be done. I would like to get it done asap and avoid further water damage inside the house. Thank you! I would like to reside the front of my house and add character. The person that came out took the time to find the problem with the roof leak. These gentlemen cared about how the work was done and that it was done well. When rain delayed the repair, I was called the day before to reschedule, with the understanding that they did not want to open the roof and cause any water damage. They came out the day before the installation and cleared the area around the repair so the snow and ice would melt. They were professional, and again, very easy to talk to about what was being done. Great job & timely service. I have to say Stan's Roofing provided excellent service before and after the installation of our new roof. The initial Roof Estimation was over and above the other estimates we had received. Once the job was scheduled, everything fell into place. It was evident "THEY KNEW EXACTLY WHAT NEEDED TO BE DONE"! Thank you, Stan's Roofing for a job well done! Your roof and siding are vital pieces of your property; they provide the whole structure with protection from the elements. Your roof and siding keep rain, hail, and excessive sunlight and wind from damaging your home and disturbing the occupants. Not only do your roof and siding protect your home, they also contribute to the overall exterior design. That is why great looking, protective, and durable roofing and siding are crucial. In order to keep a quality roof over your head, you need a reliable roofing professional you can trust. 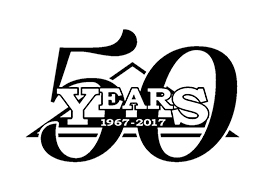 Stan's Roofing & Siding has served the residents of Lockport since 1967 with a wide range of roofing and siding services. Our employees are professionally trained and capable of installing or repairing your roof or siding quickly and efficiently. At Stan's Roofing & Siding we work with the finest roofing and siding manufacturers in the business. As such, we have a wide selection of high quality, energy efficient materials available. We offer asphalt shingles, flat roofing, vinyl siding, and fiber cement siding. Our roofs and siding are excellent insulators, durable and long lasting. When you have your house serviced by Stan's Roofing & Siding, you can rest assured we will get it done right the first time! I have a small roof section directly over my sliding patio door that has an apparent leak (the drywall soffit under this roof section has a couple large water spots). The roof section is independent of the rest of the roof. I just need the leak diagnosed and fixed. Looking to get a quote for new siding and gutters. I have a leak on my 2 story roof around a Plumbing Vent pipe. Need it repaired. I own a 20 tear old home and with the recent wind storms I have found half shingles in my yard. I dont believe the will need a tear off. The home is a duplex and I will ask for 2 quotes, one for my portion and another for the entire roof covering both units. 1. Friday night, a leak appeared in the ceiling of our attached garage. It appears to be originating at the site of a 2x4 flat roof which is between an upstairs bedroom window and the sloping roof line of the garage. I'm requesting an estimate to properly repair the site. 2. I would also like a general inspection of the entire roof. 3. While you are here, I would also like your opinion about the existing attic insulation over the main house and if needed, an estimate for insulation work. 4. I'll have a few other questions for you regarding the sloped roofing over the front porch.